Ready for a sugar shocker? According to USDA data, Americans are now eating 152 pounds per person per year of added sugars and other calorie-rich sweeteners. That’s about 32 teaspoons per day – more than five times the recommended daily limit for women and almost 4 times for men. From dealing with my own sweet cravings, as well as those of my clients, I’ve devised a strategy for reducing the urge to eat sweets and gradually eliminate excess sugar from meals and snacks. Warning: this is not easy! But if you stick to the plan, you’ll find that you’ll be able to jettison many empty calories from your diet. 1. Say goodbye to sugary beverages. Sodas and other sweetened beverages provide about half of all the added sugar in the typical American diet. So if your day is filled with soda, sugary tea, coffee or energy drinks, this is the first place to cut back. Quitting your favorite soda can be hard, but many people find that keeping the ‘fizz’ without the sweetness can help. Swap sweetened (including artificially sweetened) beverages for no-calorie sparkling or seltzer water. For flavor add a twist of lemon, orange or lime. If you’re a sweet coffee or tea fanatic, cut the amount of sugar you use by half each week, until you are down to 1 teaspoon or less per beverage. Perhaps you’re tempted to slash calories by switching to an artificial sweetener. Not so fast! Research indicates that sugar substitutes may not help with weight loss. 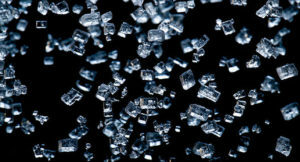 What’s more, studies show that artificial sweeteners, precisely because they are sweet (even sweeter than regular sugar! ), may encourage sugar cravings and sugar dependence. Reset your palate by eliminating sugar substitutes. When the urge to grab that doughnut or chocolate bar hits, take a moment to “check in” with your feelings. Are you really hungry? Stressed? By staying in tune with what’s really behind your cravings, you can gradually take control. Sometimes a break from work, a short walk, or a chat with a friend can soothe the need for sweets. When you do eat, do so without distraction. By turning our attention inward when we eat (that is, not toward the television, computer, or phone), we can experience the true intensity and pleasure of food. 4. Know sugar when you see it. Common cues that equal added sugar in ingredient lists include sucrose, dextrose, sorbitol, mannitol, honey, agave, dextrin, maltodextrin, high fructose corn syrup and any other syrup. For the most part, if there is an “-ose,” or “-ols” it means it’s a sugar. Sucralose is a sugar substitute. If you’re fretting that a life without added sugar will lose its luster, you needn’t worry. Naturally occurring sugars found in fresh and dried fruit, plain yogurt, whole grains and even roasted veggies are still on the menu. That’s because these foods (unlike candy and other goodies) provide important nutrients like protein, vitamin D, calcium, vitamin A, vitamin C and fiber – you’ll be hard-pressed to find any of these nutrients in candy, cookies and soft drinks. Plus, fiber and protein take longer to digest, causing a less dramatic spike in blood sugar. They also make you feel fuller for longer. As you give added sugar the boot, make sure you’re incorporating servings of fruit, veggies and plain yogurt into your diet.